Energy price comparison site WATTever has produced a report featuring a solar feed-in tariff comparison of energy retailers across Australia. A solar feed-in tariff or FiT refers to how much you are paid per kWh of electricity when you export excess energy from your solar installation to the grid. A FiT means that as well as generating your own electricity you also earn income on it – making solar panels more cost-effective. In some instances, households could even end up with a credit on their electricity bill. Through a rooftop solar installation you can reduce energy costs by exporting unused solar power to the grid. State and territory governments maintain minimum solar FiT amounts. Throughout the country the tariffs vary from between zero minimum rates through to 29c/kWh for the top rate. So far, Victoria is the only state to offer a ‘time-of-use’ FiT option for different times of the day and week. In fact, the only provider to offer this 29c/kWh tariff is EnergyAustralia. 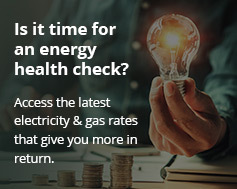 Earlier this year, the Victorian Essential Services Commission set the minimum fixed rate (non-variable) FiT at 9.9c/kWh. Off-peak – 10pm-7am on weekdays and weekends: 7.1c/kWh. Shoulder – 7am-3pm and 9pm-10pm on weekdays, and 7am-10pm on weekends: 10.3c/kWh. Peak – 3pm-9pm on weekdays only: 29c/kWh. A time-of-use solar FiT increases with general electricity demand. For example, if you feed electricity to the grid during peak times (that is, when it’s most needed) you can earn a higher rate than at other times. Peak FiTs enable you to be more strategic about earning money on your solar installation investment. By knowing the best times to export electricity, you can maximise your returns. The solar feed-in tariff comparison shows that in Victoria, Origin Energy and AGL offer the highest maximum non-varying rates at 20c/kWh. Click Energy and Amaysim then follow at 18c/kWh. Meanwhile, in NSW the highest tariff on offer is through Origin Energy at 25c/kWh. Mojo Power and AGL follow at 20c/kWh. In Queensland, the highest rate offer is 20c/kWh – through Origin Energy, Mojo Power and AGL.